PBA Tip of the Day brought to you by Joe Soltys with Assist Locksmith LLC (602) 315-3876. What do latch protectors/guards do? Joe has the answer! The gap between the door and the frame is one of the weakest points, especially if the gap is wide enough to make the bolt visible from the exterior. 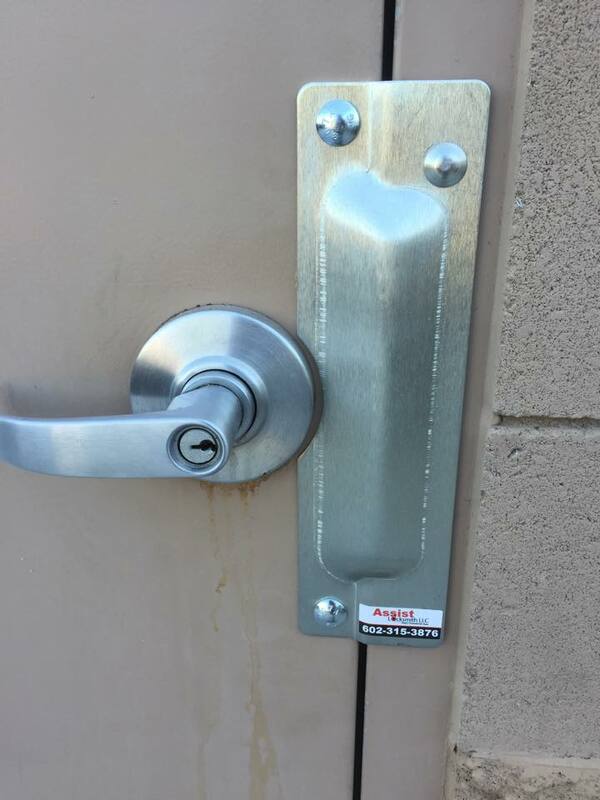 Latch guards are metal plates that cover exposed latches and keep them from being tampered with. In order to gain forced access, a latch may be cut or pryed; but a latch guard can keep this from happening. Latch Guard Plates are typically made out of heavy gauge steel or stainless steel, so you can be sure they aren’t easy to bend or cut. For more information on having these installed for your business, give Joe a call today!